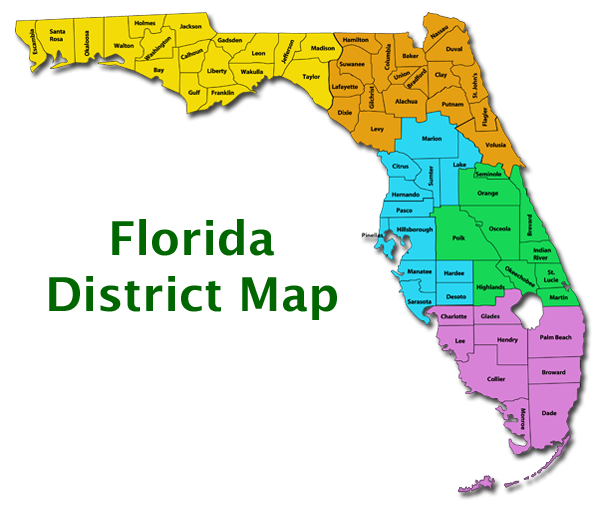 Florida is broken up into 5 geographic regions, each with its own Project 10 Regional Transition Representative (RTR). Select a region to view a list of its districts or navigate directly to a district using the table at the bottom of this page. Please note: While district resources are updated regularly, resource information changes are ongoing. Consequently, if you are aware of any needed changes, please send the information directly to the Project 10 Regional Transition Representative (RTR) for that region/district. RTR contact information is available below.